Cathedrals come in many shapes. This one, like a stained glass window, had the sunlight filtering in through squares of UNICEF plastic tarp stretched over wooden poles tied together with re-purposed mosquito netting (amazing the uses this wonderful material is put to). We were in Itang, former site of 500,000 Sudanese refugees, a small thriving Ethiopian town, and we were sitting in what is becoming the new church as it is rebuilt after the floods. Worshipping with song and drums, preaching, meeting with the Mother's Union to hear of their hopes and dreams - a typical Sunday journey for us; passing baboons and Guinea Fowl on the way home - stopping to see “the king of birds”* - its jet black plumage contrasting sharply with it’s bright yellow and red markings - and delighting our African passengers with the wonder of binoculars bringing into clear focus the Shining Ibis, the Crested Eagle, Herons, Egrets, Kites, etc and etc. Clergy training days and a deluge of clergy needs, concerns, frustrations and joys. In one of our classes, Michael Anyar shares about a recent answer to prayer. He was watching the faces of those who were hearing about Jesus, some for the first time. A few had come back on this his second visit to the area - one dear old lady in particular, her face shining, listening intently. Then - sudden tragedy. Family members come running up with the news that her youngest grandchild had just drowned while playing in the river. Instantly the whole crowd was on its feet, running to the river. The child was face down in the water. She was not breathing as they carried her out and laid her on the ground. No one knew anything about resuscitation. They stood around her, crying out to heaven and weeping. After a few moments, the little one coughed out some water and began to breathe! Once again, Michael was struck by the sight of shining faces; smiling and weeping! In Addis, on our way to Mekele to visit a brand new Anglican congregation. Ahhh, Hot Bath - need I say more? 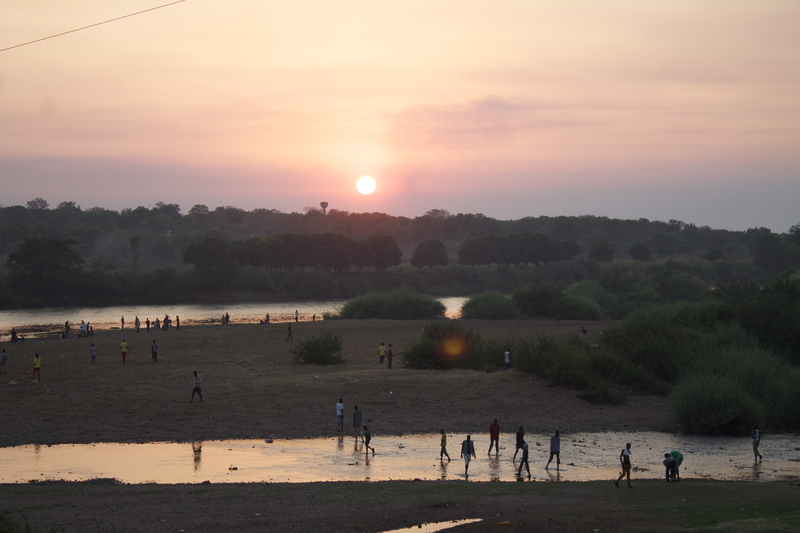 A minute to reflect on life in Gambella, and write our newsletter. When I see people who do not know their worth, their surroundings reflective of hopelessness, discontent and discouragement - something rises up in me. Something good. 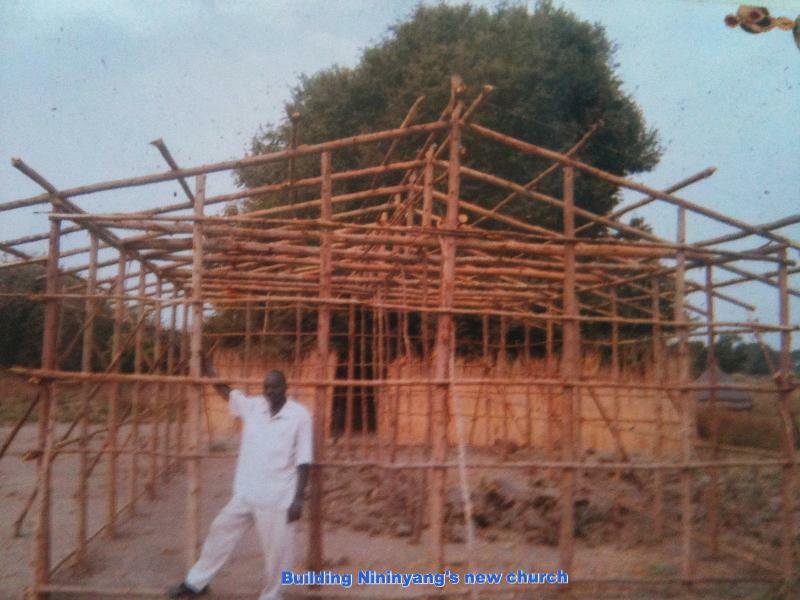 It was like that when I first arrived in the Gambella Anglican Centre. My first ‘site inspection’ walk through - pen and paper in hand, listing repairs and improvements needed - was, well.... major repairs needed in each building, grounds dangerous and unkempt, water happily cascading down from a hole in the rusting, broken water tank (nourishing the broken glass and weeds gloriously burgeoning below). But most striking were some of the faces of the staff employed to care for the Centre, as they sat around, eyes dull, some with clothes torn and dirty, some with expressions hopeless and indifferent. I was particularly struck by the guest house. The cleaner’s job apparently entailed sweeping around the perimeter of the building every day. Inside, left untouched, the mosquito netting around the broken beds had achieved an unbelievable degree of mustiness; the toilets and showers (several broken and rusting) were, despite the enchanting resident population of tiny white frogs, desperately in need of attention. The ‘custom-made’ empty storage cupboard leaned drunkenly with its combination of too-large and too-small cupboard doors permanently swinging open, and the happy community of several species of spiders in, around and under each bed, was flourishing nicely! (Actually, some of them were really beautiful - my favorite - the silver-dollar-sized, striped yellow and brown, flat, saucer-shaped ones which ran by bouncing on all 8 feet in a way that made them look as if they were shimmering!!). Bringing the Centre into good working order was and is a good goal - but even more important was the challenge to build up the people. A challenge, I’ve found, that begins in honouring the kingdom of God; - His ruling Presence. Establishing my heart’s response to my surroundings as an acknowledgement of Christ present, allows the fragrance of His love to permeate and change the atmosphere. Have you ever walked into a place where the very atmosphere was healing and refreshing; slept in a bed where the prayers of those who had cleaned the room, made the bed and swept the floor brought almost palpable blessing? This was the kind of place I was hoping that the Centre could grow into becoming - a place where the fragrance of the Presence of Christ lingered. As I reflect on my early impressions of the Gambella Anglican Centre, Ariet’s face comes to mind. I can see her standing in her beautiful new dress, her shy smile lighting her face as she bid me goodbye yesterday. She was one of my first ‘partners in grime’ - a partnership of learning through working side by side. Ariet is our guest house cleaner. Sometimes we see her smiling to herself as she cleans. Sometimes we hear her singing. She is a delight - as is our clean guest house!! Jan 18-23:Australian Mission team visit led by Archbishop Jeffrey Driver - bringing skills, enthusiasm and good practical help - deeply appreciated. Highlight: installing lights made solely of water - see YouTube's "A Liter of light *Official Version* "
Fire - acrid smoke and falling ash - the lands surrounding us are burned to clear for planting -largest fire: 16 foot flames the length of the compound; most dangerous: right under some power lines. Land- clearing, digging, leveling, building up (all by hand, of course), and possibly enlarging (ongoing negotiations with Gambella municipality). For funding for all of the above! !